…or so we can only hope. Last week we finally uncovered our early sweet corn. The first two plantings are typically ready shortly after the 4th of July. 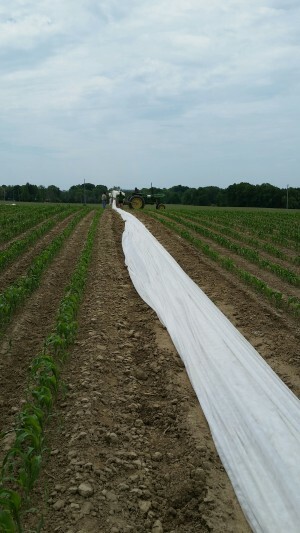 Shortly after the seeds are planted we cover the field, letting the sun and rain work its magic to grow the plants. 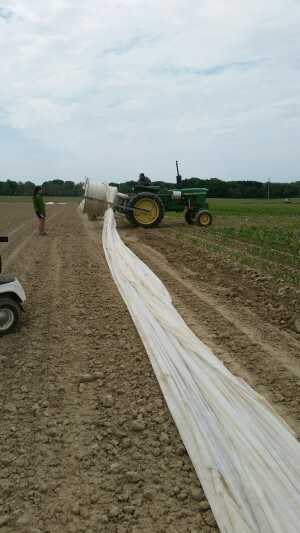 Last year was the first year I covered early sweet corn, and this year was the first time I saw the cover removed (a much less exhausting process).